When an anti-Muslim activist group organized March Against Sharia rallies in cities across the country in June, it wasn’t the first time Americans gathered to fight a suspicious religion from overseas. 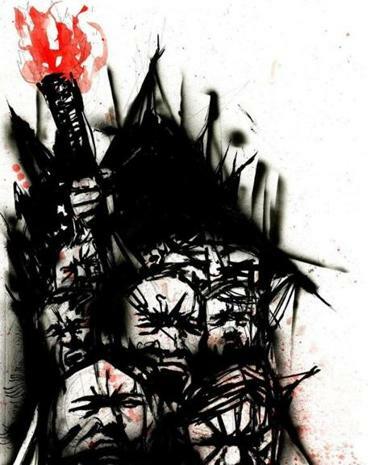 One August evening in 1834, a small mob gathered with torches and weapons on a dark hillside in what is now Somerville, intent on battling a grave threat: Roman Catholicism. Squinting up at the Mount Benedict Convent of the Ursuline nuns, the crowd swapped stories of outrages committed behind its walls: nuns sexually exploited, novices forced to wear painful corsets, starved, tortured. These patriots could not understand why their Protestant leaders not only tolerated such evils, but even sent their own daughters up to the convent. The nativists understood they needed to take matters into their hands. So they did. They tore apart the convent, tossing pianos from its upper windows, smashing sculptures, damaging paintings, and scouring the compound for elusive “victims.” Finding none, they reduced the convent to a smoldering heap, cheered for a while, and went home. Mount Benedict Convent is long gone. America’s religious tensions are not — as officials in Texas showed this summer, when the state became the eighth to legislate against “the infiltration and incursion of foreign laws and foreign legal doctrines, especially Islamic Sharia law.” To Muslims, Sharia is form of canonical law meant to govern how believers interact with one another and how their society runs; while there are moderate interpretations of Sharia, American media coverage generally deploys the term in connection with the fundamentalist vision of groups such as ISIS and Al Qaeda. As a historian of 19th-century Boston, I see parallels between the anti-Sharia activists and the antebellum nativists who claimed that Irish immigrants were loyal to the pope, not the United States; who saw Catholic parochial schools as evidence of an unwillingness to assimilate; and who insisted that the Vatican was preparing to invade America via a tunnel it was digging beneath the Atlantic seabed. Just as the rumors of abuse at Mount Benedict proved baseless, there’s little evidence that American Muslims desire, let alone seek, the implementation of Sharia law. Critics have thus dismissed the anti-Sharia movement as nothing more than a thinly veiled prejudice, part of our habitual suspicion that certain ideologies, religions, and ethnicities are plotting the country’s downfall. Global trends toward interconnection, economic growth, social progress, and stronger civil society have not completely bypassed the Islamic world. Yet our history of conspiracy theorizing and racial paranoia doesn’t fully explain the timing of all this anxiety about Sharia. Why has Sharia law has become a mainstream preoccupation now, rather than, say, after 9/11? A history of religious bigotry doesn’t explain why the most feared weapon of Islamist radicals has shifted from bombings and hijackings to a theological doctrine. While the anti-Sharia movement’s growing profile might suggest otherwise, only a slightly larger percentage of Americans suspect US Muslims of anti-Americanism today than in 2002. The question is: What has prompted the outcry against Sharia now, nearly a generation after the attack on the World Trade Center, when public suspicions of Islam have increased but little? The case of Mount Benedict suggests that conspiracy beliefs about social minorities often propagate when social majorities themselves become divided. Catholicism became a flashpoint then, just as Islamic law is today, because rapidly evolving standards of politeness were leaving many Americans behind. As it turns out, shifts within a community — for instance, in the way middle-class, native-born citizens treat one another — have profound effects on how members of that community view those on the outside. The link between etiquette and Islamophobia comes into view in a 2016 Pew Research Center survey, conducted just as conservatives were excoriating the Obama administration for denouncing “violent extremism” instead of the more pointed “radical Islamic terrorism.” In that Pew survey, Republicans outnumbered Democrats by 17 percent in believing that religious teachings, not violent people, bear the greater blame for religious violence. However significant, this partisan gap wasn’t nearly as large as that elicited by another survey question: How should the incoming president speak about terrorism carried out in the name of Islam? By a margin more than twice larger, Democrats preferred caution; Republicans, bluntness. Taken together, the two statistics suggest that Americans don’t disagree nearly as much about violence and religion as they do about manners. So what do manners have to do with nativist suspicions? Quite a lot, if we reflect on the Mount Benedict episode. Then and now, constitutional freedoms were thought to be at risk, and fears of an insurgent foreign faith sometimes combined with reigning norms of chivalry. Nineteenth-century nativists used their version of social media, cheaply printed tracts, to swap lurid tales of oppressed young women confined in both dress and spirit by a sexually repressive faith. Today’s anti-Sharia activists attribute the appeal of a dangerous and unsavory faith to poor education and brainwashing. The 19th-century nativists similarly believed that Catholics needed to be taught “to read, and think, and act for themselves,” or so proclaimed the anti-Catholic Rev. Lyman Beecher before a crowd on Boston Common, shortly before the Mount Benedict incident. A conspicuous part of the mob, and that most responsible for allowing Mount Benedict to burn, consisted of Boston’s volunteer firemen. Unlike today’s professional fire departments, antebellum volunteer fire companies were highly fluid and drew members from many walks of life, from successful merchants to humble laborers. What the volunteer firemen did share was a rowdy sense of culture: They felt at home in an older, rougher masculine culture that revolved around drinking, fighting, and displaying physical prowess. By the 1830s, that culture was on a collision course with a more feminized bourgeois urban society that increasingly eschewed displays of violence, embraced temperance, and, starting that decade, consumed etiquette manuals by the dozens. As the historian Karen Halttunen has shown, the genteel conventions explained in those manuals struck many Protestants as troublingly akin to Catholic ritual. Protestants understood their own religion as one of sincerity and spontaneous feeling. Catholicism and bourgeois manners appeared the opposite: practices of formulaic incantations that impressed the simple-minded but lacked real meaning. This helps explain why the mob that pulled apart the convent didn’t just commit violence, but rudely impersonated priests and inquisitors before it tore the convent apart. Their choice of target was no accident in this regard. 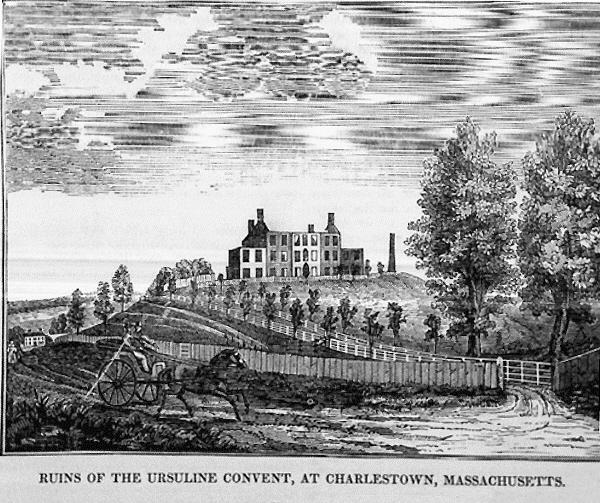 The fancy Ursuline Convent was where the richest Protestant Bostonians sent their daughters to learn the very refined social manners that the firefighters disdained. Anti-Catholic and anti-Irish sentiment bear the greatest blame for the attack, but not all of it. What the Protestant nativists found so alien in the Ursuline Convent wasn’t just the Catholic faith, but the affected mannerisms of so many Americans who suddenly thought themselves members of the middle class. While much of the grievance against the nuns of Convent Hill stemmed from prejudices as old as the Reformation, another crucial trigger was an identity crisis within Protestant society. A wood engraving depicts the aftermath of the riots of 1834. Anti-Catholic sentiment and resentment over changing manners had boiled over into violence. Today’s anti-Sharia movement emerges during a similar crisis of manners. In 2017, the issue is not so much dining or handshaking etiquette, but political correctness. A senior editor at The Atlantic recently offered this unflattering comparison: “Political correctness requires more than ordinary courtesy: It’s a ritual, like knowing which fork to use, by which superior people recognize each other.” Other critics of PC culture go further, comparing its rigidity and abstruseness to a form of religious dogma — “Sharia law for snowflakes,” as one Fox News personality memorably put it. For its champions, political correctness isn’t intended to oppress or exclude, but to encourage acceptance and inclusion. Champions of PC culture thus find its critics not only unjustified, but disingenuous and hypocritical. In their view, conservatives (along with occasional liberals such as Bill Maher) who carp about trigger warnings and tone-policing are ultimately concerned with maintaining a safe space in which to air their own retrograde views. Yet this dismissal may be too cynical. When cultures adopt new scripts, insecurities bubble up, sometimes within social categories but often across them. Along with a majority of whites, nearly a third of African-Americans believe that Americans are too quick to take offense at remarks made by those of other backgrounds. In “Racial Paranoia: The Unintended Consequences of Political Correctness,” the anthropologist John L. Jackson found African-Americans unsettled by political correctness, not because it overturns racial attitudes, but because it requires their concealment. “When racism was explicit, obvious, and legal, there was little need to be paranoid about it,” Jackson explains. The backlash against political correctness has a social dimension. While popular culture would have us assume that a sense of exclusion fuels conspiracy theories, recent psychological research suggests that such theories are less likely to thrive among solitary, isolated individuals. Instead, conspiracy beliefs are more likely to propagate when people who feel uncertain about themselves receive messages of inclusion from others with similar concerns. Our polarized society has provided both conditions of late. The specter of PC manners has engendered uncertainty among many Americans, who in turn find inclusion among the like-minded at Trump rallies and other spectacles of anti-Sharia sentiment. We need to consider that this combination of defensiveness and acceptance may encourage conspiracy beliefs about minority groups such as Muslims, even when the original social suspicions aren’t especially focused on those minorities. Put simply, the targets of our insecurities aren’t necessarily their true source. The importance of self-uncertainty may be key to understanding the spread of nativist conspiracy theories of the antebellum period and today, and not just in the way suggested by reams of articles analyzing support for President Trump. The Trump phenomenon, most analyses suggest, stems from broad class and racial insecurities: fear of what a black president means for whiteness, or of how Latino immigration threatens white communities. Group status anxiety, according to this view, drives the paranoid style. 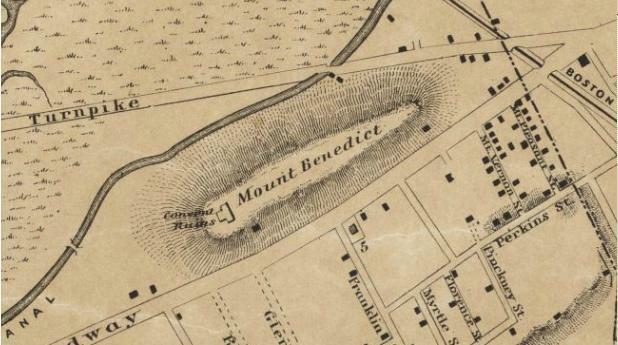 A period map shows the ruins on Mount Benedict in what is now Somerville. In fact, the collective insecurity we experience in our encounters with other races may provoke less paranoia than the intimate experiences of our still largely intraracial lives. Whatever comfort racially insecure whites find within the homogeneity of their communities and churches is bound to be lost when their own once-trustworthy white acquaintances start questioning their jokes. The antebellum experience again suggests a parallel. At the peak of anti-Catholicism, anti-Masonry, and anti-Mormonism, social and economic opportunities were not shrinking but expanding for white Protestant men. Slavery remained relatively unchallenged, and Indian removal made land cheap and readily available. In Boston, immigration did little at first to increase competition for skilled labor; the immigrant Irish took pick-and-shovel jobs or worked as domestics. The relative status of non-elite whites had rarely been better. Yet even under these rosy conditions, a significant number of white Protestants believed the pope was digging that tunnel under the Atlantic. Others believed that Masons were overthrowing the government. Still others swore that Mormons were kidnapping helpless young white women. In August 1834, one group of these men, set apart from the mainstream of Boston society not by race, class, or religion, but by their increasingly unacceptable manners, acted out a paranoid fantasy. None of this should encourage us to deny the reality of Islamophobia or its ultimate foundation in our religious, racial, and foreign policy history. 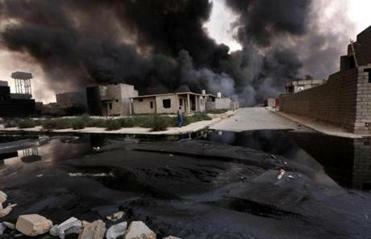 But the recent alarm over Sharia may be more than just a knee-jerk response to unfamiliar forces. It as likely originates in the misinterpreted experience of many Americans: having their speech and behavior judged by to a new and apparently alien code. Dealing with Islamophobia requires more than just refining our manners. It means the difficult and presently unpopular work of empathizing with those who seem to neither desire nor deserve the effort.